The SubCat is one of a series of virtually unknown British SDVs (Swimmer Delivery Vehicles) from the Cold War. Designed to carry two combat divers over long distances, the SubCat incorporated many innovations and was ahead of its time in several respects. 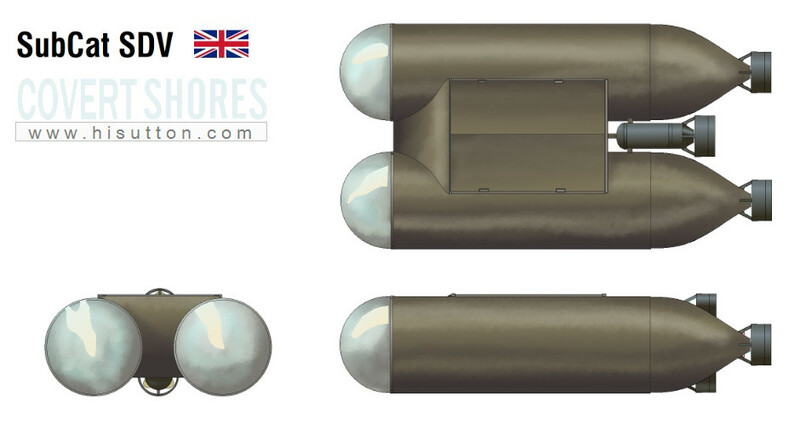 The design was proposed by Submarine products of Hexham, UK, who were better known for the diver breathing apparatus and, later, their SubSkimmer submersible boat. Like the SubSkimer the SubCat adopted a completely untried arrangement with no less than four compact electric motors. These were arranged in a cruciform at the back, with two behind the twin fuselage pods and two vertically in the middle. The two middle thrusters would have been steerable, completely replacing conventional hydroplanes. Inside the hull the two divers lay prone on top of battery pods, looking out through the Perspex nosecones. This arrangement was very compact, especially in terms of overall length which was much shorter than other contemporary SDVs. Operating depth: 200m (650ft) without crew, e.g. on the back of a parent submarine. Operating depth governed by crew's breathing apparatus. Although marketed, the design never got a buyer and was not produced. 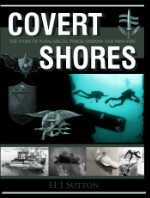 The ultimate book of Special Forces subs Covert Shores 2nd Edition is the ONLY world history of naval Special Forces, their missions and their specialist vehicles. SEALs, SBS, COMSUBIN, Sh-13, Spetsnaz, Kampfschwimmers, Commando Hubert, 4RR and many more.